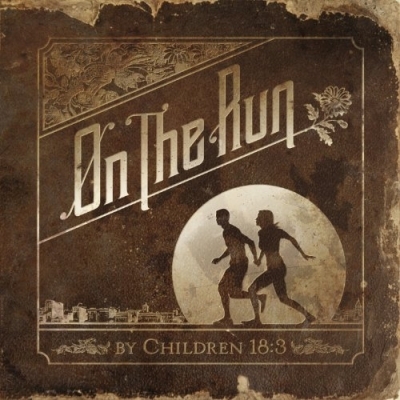 Children 18:3 will release their third album 'On The Run' on 19th June 2012. The rock trio teamed with producer Travis Wyrick (P.O.D., Disciple, Pillar) for the first time on the 12 track album. "We're really excited about these songs, and by far, we're the happiest with this record after leaving the studio," shares drummer Seth Hostetter. "There's also a lot of vocal character from David and Lee Marie, who really weigh in with a lot of emotion, and there's a lot of musical variety. Some are straight forward rock songs, others are poppier and melodic and there’s even a ballad-like slower song, which probably comes from the three of us bringing so many influences to the table." Children 18:3 splashed onto the music scene in 2008 with their self-titled label debut, which received huge praise for the Minnesota raised band. Seth, David and Lee Marie struck again in 2010 with the release of 'Rain's A' Comin'. The band will be special guests on the DisTOURtion 2012 Tour in July and August with Blessed By A Broken Heart and Write this Down along with special guest Rocky Loves Emily.